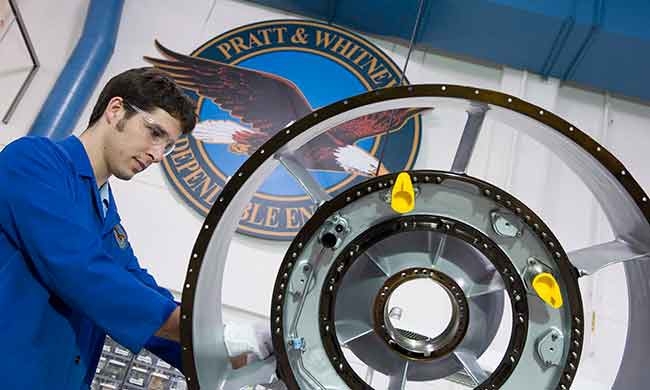 With more than 100 fixed wing and rotary engines certified in the last 25 years, Pratt & Whitney (P&W) must be part of the sustainability initiative, according to Robert Cadieux, environmental and sustainable development manager with Pratt & Whitney Canada (P&WC). And he questions P&W’s contribution to increased consumption as the planet continues to consume more and more resources. “We must be better at anticipating long-term trends. Trends will define the boundaries of our design space. Adapt versus extinction. It’s a question of response time,” Cadieux said at ‘Sustainability 2015,’ an international conference on environmental sustainability in air vehicle design and operations of helicopters and airplanes held in Montreal. The conference was organized by the Montreal-Ottawa Chapter of the American Helicopter Society. 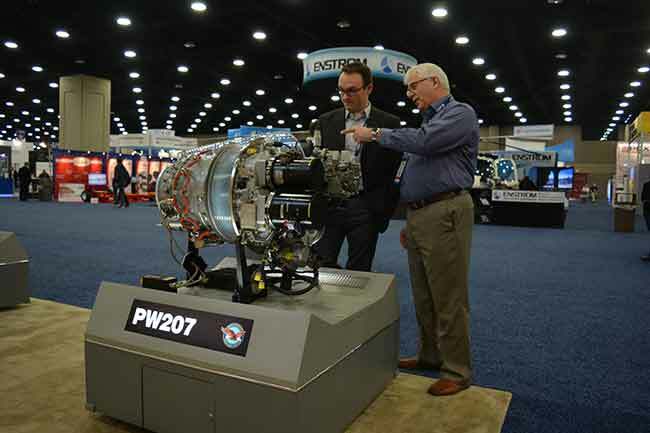 By its 100th anniversary in 2028, P&W wants to go from being the “best aerospace company in the world to being the best aerospace company for the world,” Cadieux said. 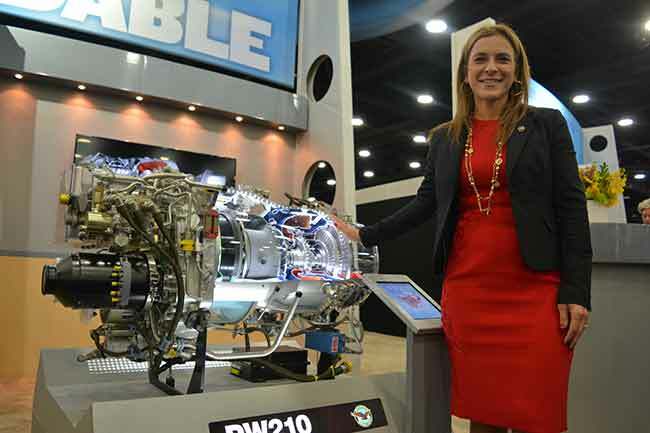 This will be achieved through initiatives like reducing emissions in the company’s 51,000-plus engines currently in operation through fleet upgrades, designing, manufacturing and servicing products with minimal environmental impact, promoting zero waste by using by-products that are 100 per cent recyclable and by becoming a force for positive change. As a major engine manufacturer, economic and environmental issues become intertwined, noted François Brophy, principle engineer with P&WC. In a session entitled “P&WC’s Perspective on Environmental Challenges,” Brophy said as the cost of energy increases and becomes more volatile, it impacts the profitability of the company. And climate change leads to a new regulatory framework, which also has an economic impact. The aerospace industry can’t meet its environmental commitments without sustainable alternative jet fuel (SAJF), suggested Steve Csonka, executive director of the Commercial Aviation Alternative Fuel Initiative. In 2012, aviation produced 689 million tonnes of CO2, or around two per cent of the global total. The industry is expected to grow by five per cent annually, but cleaner fuel initiatives are only improving by about two per cent annually, leaving a three per cent deficit, noted Csonka. One positive development is that multiple feedstock such as cellulose, triacylglycerols (animal and plant), sugar and starch, waste and synthesis gas, are making progress across the board. P&WC continues to develop a wide range of environmentally conscious engines. Great strides have been made in battery technology, but their efficiency may peak below the efficiency of fuel said Pat Anderson an engineering professor from Embry-Riddle Aeronautical University in Daytona Beach, Fla. With a maximum speed limited for an electric battery, the industry is now looking at a turbine-electric hybrid engine. After creating the first parallel-drive hybrid aircraft in the world, Embry-Riddle is creating a fully electric airplane. A Diamond HK-36 aircraft with a 133 horsepower electric motor is being modified to operate completely under electric propulsion. Battery systems, mission profiles and aerodynamics are being optimized to maximize safety and flight time. The project is a key to the future of aviation, where emissions and noise control are two of the most pertinent issues, according to Anderson. “Battery power is going to improve, but I don’t think it will get to the (efficiency) level of gas,” he said. “When I look at road vehicles, I think the brass ring is a fully electric battery powered vehicle. And the reason we have hybrids is because batteries aren’t good enough. Since they’re not weight limited or volume limited, they’re probably going to hit gas in their regime, whereas since we’re weight sensitive that may not happen. But this technology is a long-term process. Boeing and NASA are both looking at a 2035 timeline for a single-aisle airplane, Anderson said. And if battery doesn’t get to the “gravimetric density” of fuel, it won’t be a battery-powered vehicle, but a mixed methodology of some type. Anderson mentioned the Argonne National Laboratory research centre in Illinois that has earmarked over $760 million to pursue innovative technology in clean energy, including battery technology. Noise, more than fuel consumption, is becoming a key factor for phasing out older aircraft, according to Steve Colavincenzo, chief, acoustics and vibration at Bombardier. “When we first designed the CSeries in 2000, we were not planning for Chapter 4 (airframe noise reduction), but for Chapter 5 and 6, they were not even introduced yet,” he said. Bombardier is involved in such things as landing gear noise reduction, wing tip/flap noise reduction and slat noise reduction in collaboration with the University of Toronto and McGill University and the Green Aviation Research and Development Network (GARDN). GARDN is an industry-led consortium of 40 public and private sector partners, including industry heavyweights like Bombardier, Pratt & Whitney Canada, CMC Electronics and Bell Helicopter. It is targeting what it refers to as the “valley of death” in the innovation supply chain, which includes prototyping, testing and demonstration of early-stage, pre-competitive research on next-generation aircraft, engines and avionics systems. “Low noise can be a competitive advantage as some airports charge noise related fees in 22 countries and some aircraft are not even allowed to operate in some countries,” Colavincenzo said. In addition to noise limits being a major issue in Europe, people in general are “shocked” the aviation industry is still using leaded fuel and are demanding more environmentally friendly products, said Boyd Rodeman, engineering specialist and compliance lead at Textron Aviation. In North America, Phase One of a Piston Aviation Fuel Initiative is underway to facilitate the development of unleaded aviation gas or Avgas with the least impact on existing fleets. Phase Two in 2016 will see engine and aircraft testing on two selected fuels supported by the National Research Council and Transport Canada. “Alternative fuel solutions come in many forms, including unleaded Avgas, Jet A and Biofuel blends,” he said. Cost is the key barrier to the development biofuels as 85 per cent of its cost is in the feedstock, according to the University of Toronto’s Murray Thomson. UofT is part of BioFuelNet Canada along with several other Canadian universities, industry partners and government representatives involved in initiatives to accelerate the development of sustainable advanced biofuels. He estimated the cost of biofuel at $1.23-$1.53 per litre and expects 1.3 billion gallons to be produced over the next few years. Air Canada expects to realize a 1.5 per cent improvement in fuel efficiency and 50 per cent reduction in CO2 emissions by 2020 and have carbon neutral growth after 2020, according to Mena Salib, manager of aircraft noise and emissions. Drone Fair 2016 impresses in B.C.